Dr. Stephen Riady was appointed Executive Chairman of OUE Limited on 9 March 2010. He has been serving as Executive Director since 30 November 2006. He is a deemed substantial shareholder of OUE Limited. Details of his deemed shareholdings can be found on pages 222 and 223 in the Annual Report 2017. He was last re-elected as a Director at the Annual General Meeting held on 21 April 2016. Dr. Riady is also an executive director of Lippo Limited and has been its chairman since 1991. He was appointed a director of Lippo China Resources Limited in 1992 and on 25 March 2011, he was appointed as its chairman. He has been an executive director of Hongkong Chinese Limited since 1992 and on 25 March 2011, he was appointed as its chairman. Dr. Riady is also a member of the remuneration committee and nomination committee of Lippo Limited, Lippo China Resources Limited and Hongkong Chinese Limited, which are all listed on the Main Board of The Stock Exchange of Hong Kong Limited. 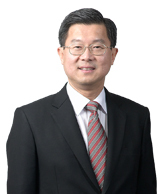 He was also appointed a non-executive non-independent director of (i) OUE Lippo Healthcare Limited (formerly known as International Healthway Corporation Limited) in July 2017; and (ii) Healthway Medical Corporation Limited in August 2017, which are both listed on the Catalist board of the Singapore Exchange Securities Trading Limited. His service to society includes such civic engagements as founding honorary advisor of the University of Hong Kong Foundation for Education Development and Research, member of the Boards of Trustees of Volunteer Service Trust and The Better Hong Kong Foundation, member of the Advisory Council of One Country, Two Systems Research Institute, fellow of the Duke of Edinburgh’s Award World Fellowship and member of the Advisory Board of Sloan School of Management of the Massachusetts Institute of Technology, United States of America. He was a member of the Council and the Court of Hong Kong Baptist University. In public service, Dr. Riady was a Hong Kong Affairs Advisor from April 1995 to June 1997, appointed by the Hong Kong and Macao Office of the State Council and Xinhua News Agency, Hong Kong Branch of the People’s Republic of China (“PRC”). In addition, he is a member of the Committee to Promote Economic Co-operation between Fujian and Hong Kong, a committee established by the Provincial Government of Fujian, PRC. Accolades he has received include the Chevalier de L’Ordre des Arts et des Lettres awarded by the French government, and the Strategic Investment Entrepreneur of the Year in Ernst & Young’s annual Entrepreneur of the Year Awards Singapore 2007. He is an Honorary Citizen of Shenzhen, PRC. Dr. Riady is a graduate of the University of Southern California, United States of America and holds a Master of Business Administration from Golden Gate University, United States of America. He was conferred an Honorary Degree of Doctor of Business Administration from Edinburgh Napier University, United Kingdom, and is one of the first Honorary University Fellows installed by the Hong Kong Baptist University.